Help keep pets with their pet owners with microchips! Educate your entire team on the importance of pet microchipping. Collars break and pet id tags can fall off; some pets don’t even wear collars. According to her 2009 study, pets with microchips are up to 20 times more likely to be returned to their owners. 40% of lost cats in one community were indoor-only cats and only 19% of cats reported lost had any sort of identification. We don’t like to think about it, but disasters can happen displacing pets from their homes and owners. Microchips are permanent identification that can help prove ownership if a pet is stolen. Microchips are required when traveling internationally. Learn more. 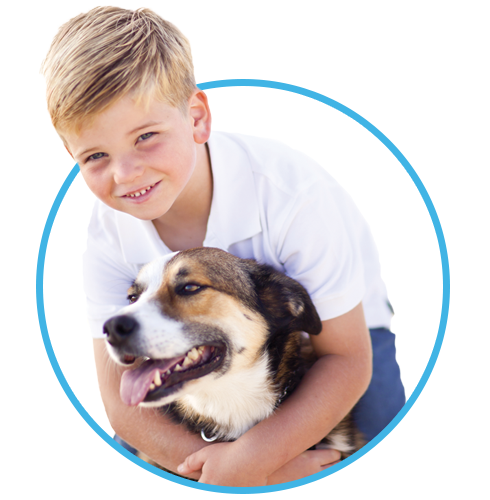 Reinforce your commitment to pet microchipping during each wellness visit. FIRST THINGS FIRST Be sure to scan a pet during weigh-in. Require team members to scan a pet each during every visit. Scanning a pet, is a perfect opportunity to educate pet owners about the importance of microchipping. Even if you don’t think it has a microchip, you might be surprised. Some pet owners don’t even know their pet has one! If the pet doesn’t have a microchip you can discuss the many ways microchips help reunite pets and their owners and offer to implant one during their visit that day. For pets with a microchip, a quick scan double-checks the microchip has not shifted and is still working properly. It is also a good opportunity to remind pet owners to verify their enrollment information. Only 58% of pets are properly enrolled with up-to-date contact information. REMEMBER TPRS To be sure you cover all the basics for every pet when they come in for a check-up, remember TPRS - Temperature, Pulse, Respiration, Scan. It's that easy. Promote microchipping at your practice. Bundle microchipping into your puppy and kitten wellness plans by including it with their vaccinations or spay/neuter procedures. Run monthly pet microchipping promotions. Discount microchipping when added with other procedures. 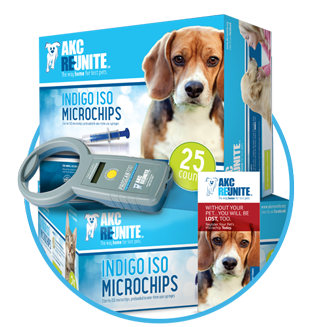 Put microchipping brochures in each puppy and kitten pack – call AKC Reunite for complimentary brochures. What is your pet’s name? Breed? Gender? Spayed/Neutered? Microchipped? We are always adding new reunion stories to our website, so feel free to share with your patients! It is very important to know how to use a universal scanner. Be sure to teach your entire team to take the time to properly scan for a microchip. 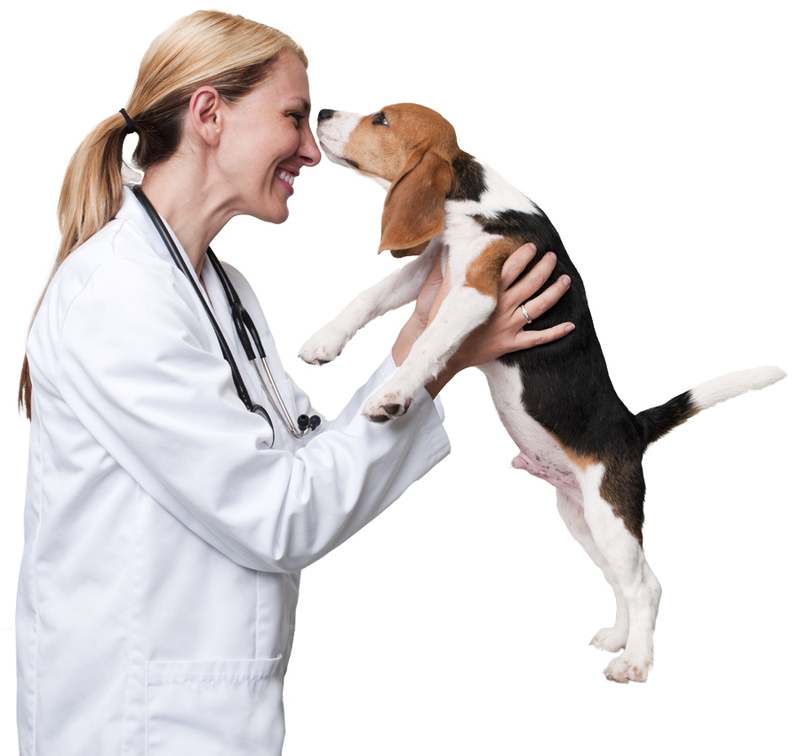 Many Good Samaritans rely on veterinarians for the welfare of a lost pet. Contacting animal control is their very last resort. With petmicrochiplookup.org, anyone can enter a microchip ID number and see which pet recovery service to contact. Pet owners can also use this resource to know who to call to verify their microchip enrollment information is up to date. Add petmicrochiplookup.org to your favorites for easy access at all times! Our clients are the best and they were nice enough to share why they love AKC Reunite. Our online store is fully stocked with microchips and scanners for your business.